As I’m getting as much cycling done as possible these days I opted to take out the Achielle Sam for a nice ride. It’s not as ‘high-tech’ as my Bianchi, but it still was a good workout and I arrived nicely on time before the first act started! 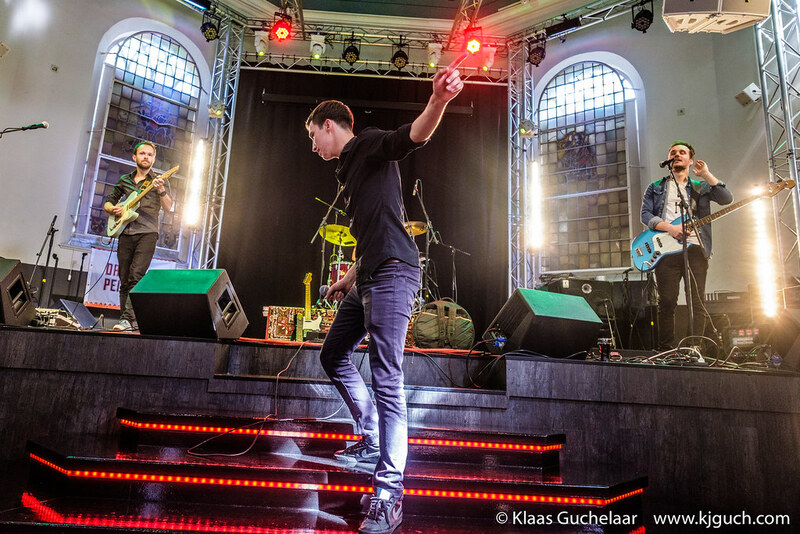 In Borger the Drentsch Peil held their fourth and final showcase having already visited Hoogeveen, Meppel and Emmen. Not all bands played all the showcases, the setting varies a bit and every concert has a different support act, in Vanslag that’s Inge van Calkar and band. But Inge would play at the end, so first there’s the new bands, starting with 70 Mile House. An strong pop-rock band with lots of energy. Couldn’t find a lot of info on the band, but they formed in 2016 and started doing live shows early 2018. It’s clear to see in the energy that the band has o stage that performing is in their blood. Great opening! 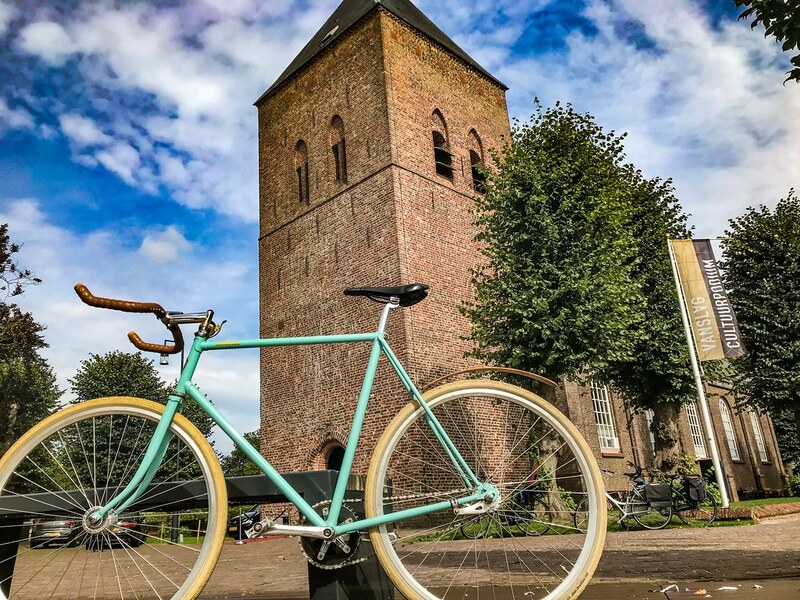 The showcase has three bands and three singer/songwriter solo shows and for those we have to climb the church tower for a more intimate setting. For the shows the location works really well. Here we first had a concert by Mary Confurius. She’s been active for a while and sings about the light and dark side of life. A lovely set that leans a bit more on the heavy side, but that’s not at all bad. The only disturbance is the ringing of the bells in the clock tower (not for the last time today) which does help to lighten the mood a bit. Back on the main stage Kidd Nebula starts of and musically the band immediately brings the Red Hot Chilly Peppers to mind. Upbeat rock with a healthy dose of funk and punk. The band is having a lot of fun on stage and the big grin on the face of lead singer Bradley Berkholst speaks speaks louder than words. Fantastic band with one heck of a guitarist! 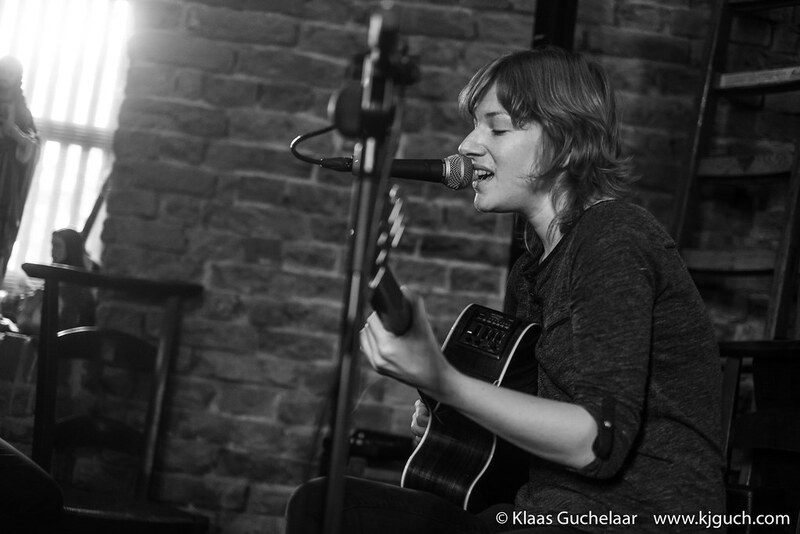 Isa Zwart is the second Singer/Songwriter in the tower. 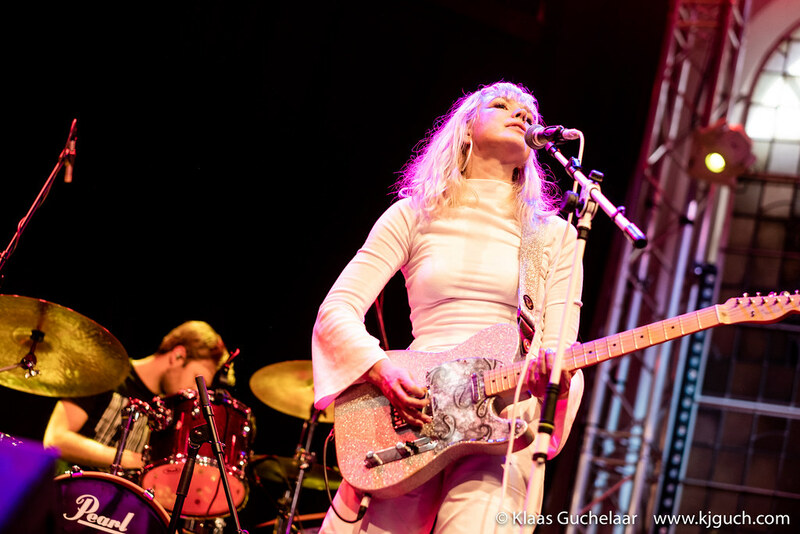 Isa has already been around in her short spanning career as a singer/songwriter. She attended the Idols program in 2016/2017 reaching the final 20 and attended the European SUNS Festival for minority-languages in Udine/Italy where she was crowned public favorite for her song Mamma See in the dialect of Drenthe. Today however it’s in English and the songs are very close to her as with the song ‘The boy with the cure red hair’, about a little boy that was bullied for his red hair. 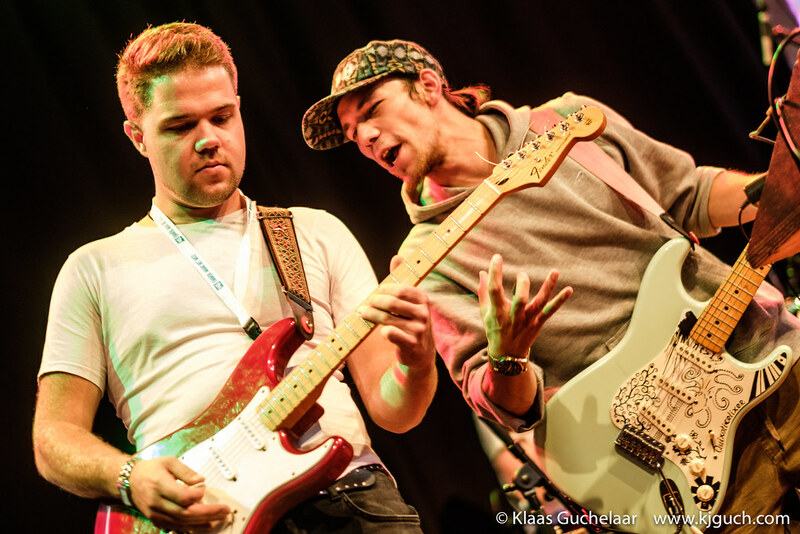 The last act for Drentsch Peil on the main stage is WHATTHEFUNK and as the name implies: it’s funk! Really funky and it swings. 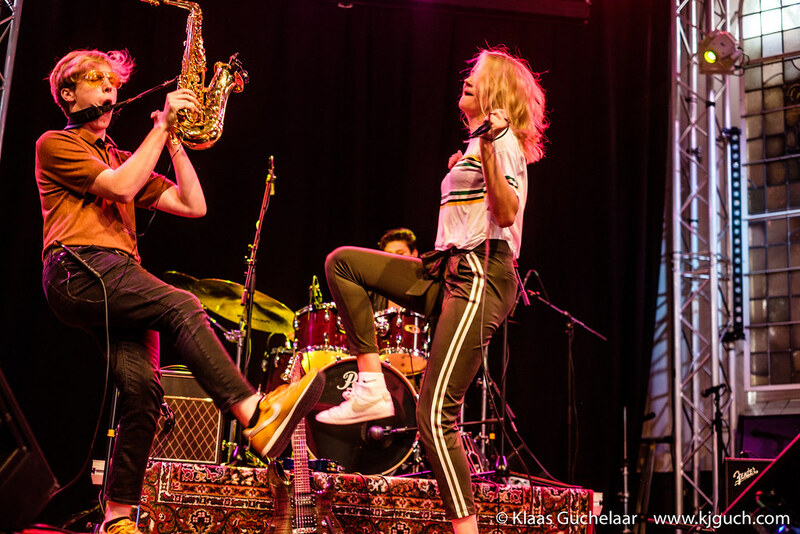 Some of the more funky jazz influences, a bit of rap/scatting by lead singer Lisa Eising and the band is from Assen, my home town :) Loved the band, their enormous energy and style. Simply fantastic! 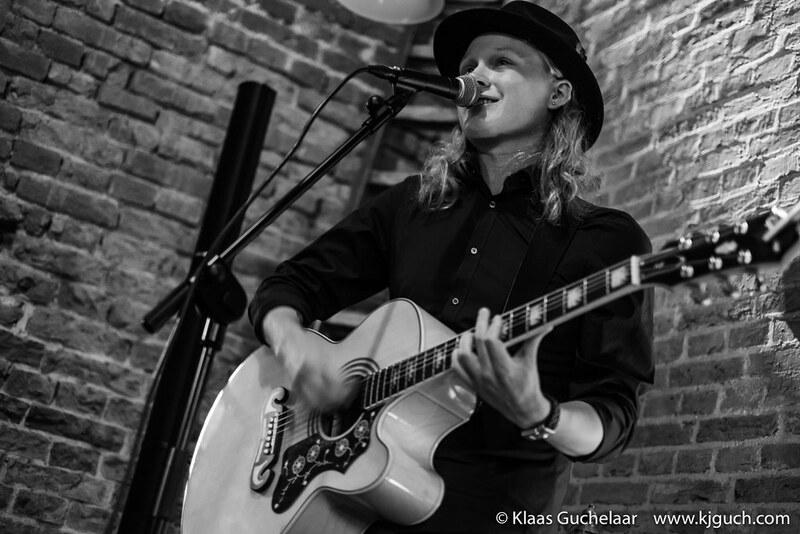 One more time up the steep stairs to the tower for the last Singer/Songwriter: Tim Kamphuis. The lyrics showing a bit of a satirical view at times, the music was much upbeat. A great way to end the afternoon as far as the showcase was concerned one of the final songs was a good song to have ready as a singer/songwriter whenever you again have to sing a ‘stupid ff’ing love song’ at a party again. 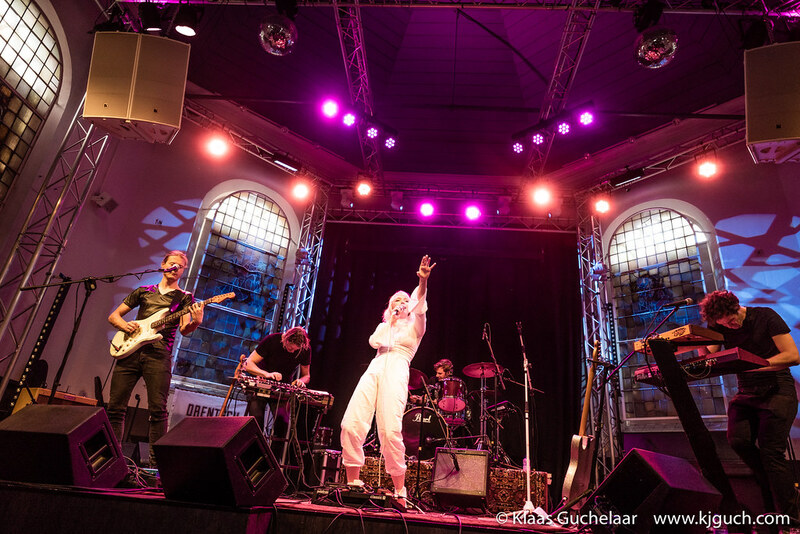 However it wasn’t over just yet as Inge van Calkar and band were at the showcase to as the supportact. Inge has a new album coming out soon with a whole new sound. 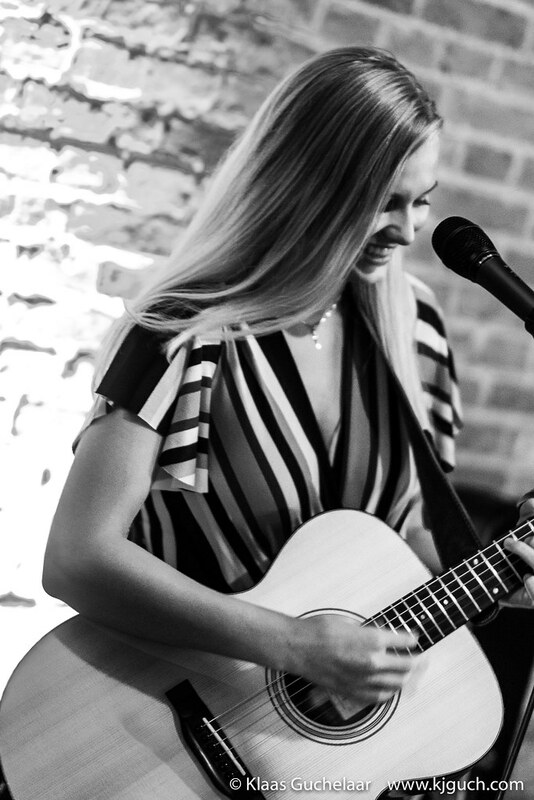 Although she once started as a singer/songwriter too, she’s assembled quite the band round her in time and the whole sound is grand, strong and electric. With the band dressed in black Inge dressed in white clearly stands out on stage. The sound is great and it’ll be great to see the band in the venues later this season!